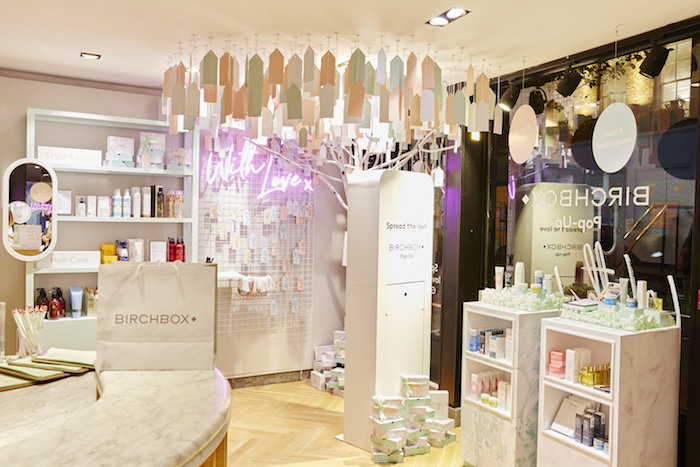 Birchbox have opened their first UK stand-alone pop-up store. The space will be a warm and inviting environment for busy shoppers to pick up established brand such as Bobbi Brown, Rituals, Caudalie and niche ones such as Spectrum Collections, . The brand is the UK's No 1 beauty box which offers an efficient and personalised way to discover and shop for new products. Situated in Carnaby Street, which is the heart of Central London, the store will offer a fun and efficient way to shop for beauty. It will follow the Birchbox online shopping experience by allowing the customer to buy full size product by category as opposed to brand. You will be able to build your own bespoke Birchbox and there will be specialists on hand to talk you through the products. The store will also hold a selection of Birchbox's Top 100 bestselling products so customers can sample the beauty products that their customers have loved over the years. We popped into the store for a preview earlier this week and we can confirm that it is a lovely and cosy place for you to pick up some beauty treats for yourself or someone else. There are also numerous products dotted about so you can test out brands that you have heard of and ones that you are not familiar with. This is a great space for you to rediscover or familiar yourself with the brand. The Birchbox Pop-Up Store is based on 45 Carnaby Street and will be open till 30th January 2018.